This one day event is designed to explore some of the clinically relevant evolving events in microbiology, mucosal immunity and functional medicine as it relates to inflammation and health. The presenters are well known for their many years of work in research, analysis, practice and lecturing. They will present substantive evidence of these evolving trends and how they impact on clinical decisions, describing where evidence is preliminary, novel, or of greater substantiation. The day will have a strong clinical bias and provide a welcome opportunity for questions and answers. Understanding how the adaptive immune system copes with the remarkable number and diversity of microbes that colonize the digestive tract, and how the system integrates with more primitive innate immune mechanisms to maintain immune homeostasis and manage inflammation responses, holds considerable promise for new approaches to modulate immune networks to treat and prevent disease. The human intestine contains ~100 trillion bacteria that make essential contributions to human metabolism and establish symbiotic relationships with their hosts. However, these organisms pose an ongoing threat of invasion or loss of tolerance owing to their enormous numbers. The intestinal immune system has evolved unique immune adaptations that allow it to manage its high bacterial load. These immune mechanisms work together to ensure that commensal bacteria rarely breach the intestinal barrier and that any that do invade are killed rapidly and do not penetrate to systemic sites. Loss of bacterial symbiosis (eubiosis), known as dysbiosis, presents the immune system and the barriers with ongoing challenges, and maintaining tolerance in the face of perturbations of bacterial communities is metabolically expensive. The result can be altered immune hyperesponsiveness due to the activation and promotion of inflammasome formation and related inflammatory protein secretions. A key element of the mammalian intestinal strategy for maintaining homeostasis with the microbiota is to minimize contact between luminal microorganisms and the intestinal epithelial cell surface. This is accomplished by enhancing the physical barrier through the production of mucus, antimicrobial proteins and IgA; food, medicines and bacterial species are able to enhance or compress these defense mechanisms. A second layer of intestinal immune protection relies on the rapid detection and killing of bacteria that penetrate the epithelial cell surface. This occurs by several immune mechanisms, including bacterial uptake and phagocytosis by innate immune cells and a complex set of T cell-mediated responses. A third immune barrier is presented by the mesenteric lymph nodes, which constitute an immune ‘firewall’ limiting penetration by commensal microorganisms to the systemic immune system. This allows induction of adaptive immune responses to resident bacteria to be confined to the mucosal immune compartment. An increasing amount of evidence suggests that numerous intra and extraluminal diseases and loss of function arise from dysregulated control of host–microorganism interactions and the subsequent production of inappropriate inflammation. In support of this hypothesis, this day will explore intestinal immune mechanisms that maintain homeostasis with the microbiota and what to do if these are lost or disorganized. A dynamic yet robust, state of chronic, low-grade inflammation maintains the healthy state known as primed homeostasis in the gastrointestinal tract which if disturbed, as different stages in life contribute to translational changes in immune responsiveness and loss of function and health. The mucosal surface is not a static barrier that simply prevents microbial invasion but a critical interface for microbiota-immune system interactions. Recent work suggests that dynamic interactions between microbes and the host immune system at the mucosal surface inform immune responses both locally and systemically. In the USA millions of people suffer from some form of gastrointestinal (GI) disorder and its related local and systemic inflammation response. The relationship between gastrointestinal dysfunction and chronic disease is multifaceted, compelling and complex. It is clear that when the normal integrity of the GI tract is compromised, this can result in distant systemic complaints even in the absence of overt GI symptomatology. Millions of years of co-evolution have led to a fundamental intertwining of mammalian and microbial biology that extends well beyond this metabolic function. For example, intestinal microorganisms provide instructive signals for several aspects of intestinal development, including epithelial cell maturation, angiogenesis and lymphocyte development. Intestinal bacteria also have an important role in protecting their hosts against pathogenic infections. Two distinct factors contribute to this protective effect. First, many intestinal bacterial pathogens are poorly adapted to compete with commensal microorganisms for dietary nutrients, restricting their luminal colonization. Second, symbiotic microorganisms stimulate immune responses against pathogens. When we are sick our bacterial communities are also sick and as such they alter the physical habitat of the distal bowel as well as the availability of resources in the form of nutrients. Yet restoration of the dysbiotic microbiome is not as simple as just adding back missing or underrepresented species. Both the physical habitat of the gut, the mucosal and mitochondrial morphology and the nutrient availability must be durably changed to engender a meaningful change in the complex microbial ecosystem to restore eubiosis and proportional inflammation. Gastrointestinal issues and their related loss of immunological tolerance in inflammation managementare one of the most common reasons that patients seek medical care and it is estimated that about 40-50% of people in the US self-medicate with over-the-counter products instead of objectively identifying the root cause(s) of their problems. Further, gastrointestinal and associated immune and inflammatoryproblems may be associated with chronic extra-intestinal problems that may not be further resolved without appropriate intervention of the more obvious intestinal issue. 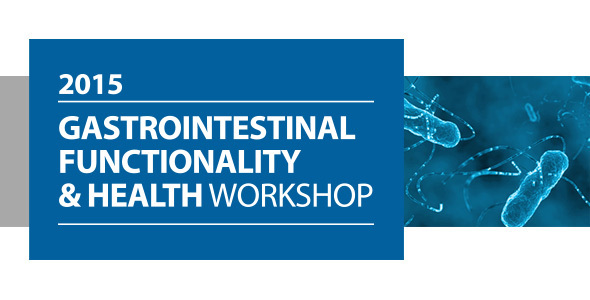 This workshop will provide practitioners with an opportunity to apply or strengthen their clinical practice in the treatment of GI and associated inflammatory disorders.